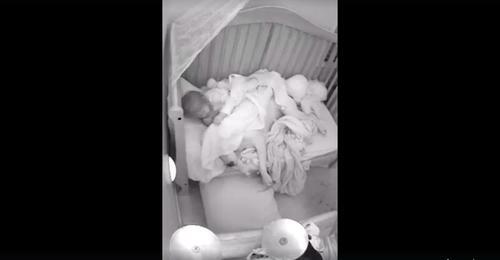 This viral footage is making its way around the internet. Fear is an emotion that everybody deals with occasionally, even if you are courageous and brave. Fear can also cause many other emotions to rise to the surface, including feelings of anxiety. Being too afraid can also cause issues sleeping, as you are unlikely to fall asleep when you’re feeling anxious and scared. One little girl knows these feelings all too well. Adalynn Leary, often referred to as Ady, is a toddler that went through some trauma when an earthquake reaching 7.0 magnitude struck the town where she lives in Alaska. After the earthquake, Ady was having some anxiety and difficulty sleeping. But Ady is a special girl, and she found a unique way to deal with her feelings of fear. The master plan? Well, it involves her enormous pit bull friend named Fury. The dog serves as a protector for the young girl, and the two have an amazing bond that cannot be broken. So when Ady had some issues with anxiety after the trauma of going through an earthquake, the pit bull was there to help her through it. Although animals are unable to communicate with us verbally, it often feels like they know what we’re feeling without having to tell them. Fury the pit bull was very intuitive to Ady’s anxiety and was with her every step of the way after the earthquake. 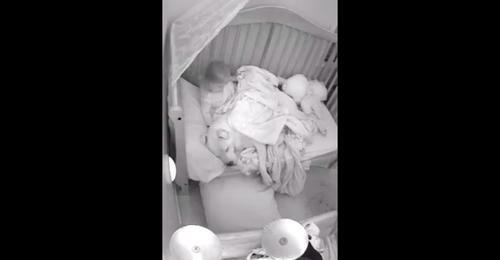 In the aftermath of the natural disaster, Ady was having some trouble sleeping alone in her crib. She felt unsafe, and it was Fury’s time to step in to help her cope. So what did the dog do? Snuggle up right next to the young girl! 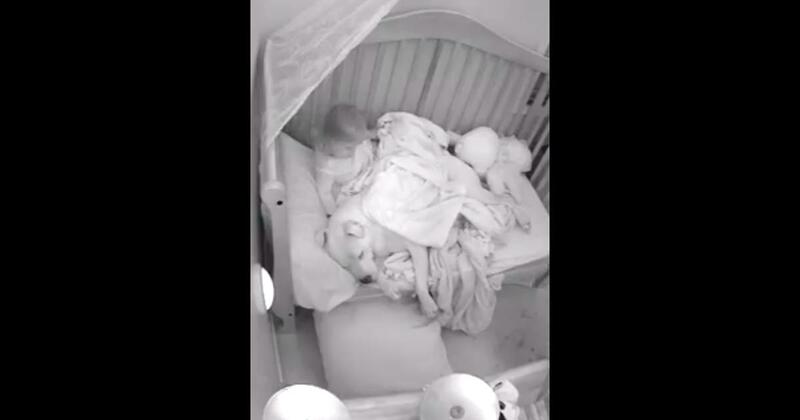 Ady’s father had a camera set up in her room and captured the most adorable footage of the duo. After calling the dog onto her bed to sleep next to her and keep her feeling safe, she even covers up the dog carefully with her blanket. After she tucks the dog in, she looks much calmer and ready to get some sleep. Ady’s parents know how much the dog adores her and assure everyone that although the dog is large, it would never do anything to harm her and only wants to serve and protect the little girl. 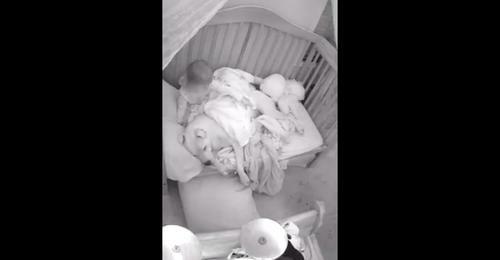 This footage is too adorable for words, and you can watch it for yourself in the video below. What do you think about Ady and Fury’s story? Do you have a pet that helps you through rough times?